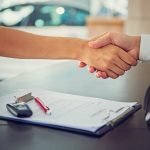 Viking Financial was established by owners with over 15 years’ experience in the finance and lease industry and wanted to offer a service different than the typical bank/lender. We wanted an approach that was customer centered and have options in place that will fit their company needs. Whether you choose us as your lender, we guarantee top tier service throughout the process, no hidden tricks, no hidden costs, just a straight forward honest approach to lending.